Prior to beginning the CNNRO Strategic Plan, an extensive bibliography of material was reviewed together with the 2014 Member/ Associate Member survey that informed the 2015 Interim Strategic Plan. This was followed by internal and external interviews, two additional Member/Associate Members’ surveys, a two-day workshop in February 2016 in Yellowknife and numerous meetings with the CNNRO Steering Committee. The CNNRO operates in a complex economic and geopolitical environment which exerts a number of forces on the organization and its members. To better understand the CNNRO’s external environment, a PESTLE (Political, Economic, Social, Technological, Legal/ Regulatory, and Environmental) analysis was employed in conjunction with a traditional SWOT (Strengths, Weaknesses, Opportunities and Threats) analysis. An intensive and iterative engagement and consultation process using multiple methodologies contributed to the development and adoption of the CNNRO Strategic Plan. The CNNRO’s Vision is that: The CNNRO will be Canada’s globally connected infrastructure network, enabling exemplary northern research. The CNNRO’s Values are that: The CNNRO is guided by collaboration, meaningful engagement, transparency, innovation, and respect.  The CNNRO’s Mission is to: Advance science and enable research in Canada’s North through effective collaboration and communication by sustaining and enhancing network resources. The CNNRO’s goals are: Advancing Science and Enabling Research, Communication, and Sustaining Network Resources.